Black Sabbath, Break on through to the other side, Faith, Freedom, Heaven, Hedonism, Keeping It Real, Liberate your Mind!, There is a God! “In a brand new interview with The Weeklings, BLACK SABBATH bassist Geezer Butler was asked if he got any backlash over SABBATH singing a message of repentance and God being the only way to love on the “Master Of Reality” album. “No,” he responded. “People always like to find the ‘evil’ in the music, so they’d quote the ‘pope on a rope’ part out of context, as usual. People like to find negative in everything. We weren’t interested in writing songs about the ‘nice’ things in the world; everyone else was writing about that. We wanted to inject some reality into music. I think if we’d been called WHITE SUNDAY we’d have had a totally different reaction. 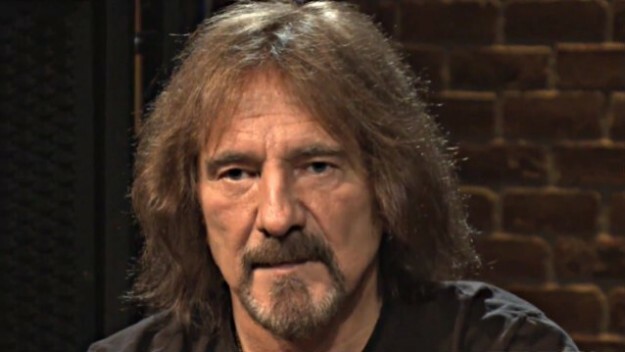 Butler also talked about his thought process behind writing the lyrics to the SABBATH song “After Forever”, which some historians have called the first real Christian rock song. “A lot of it was because of the situation in Northern Ireland at the time,” he explained. “There were a lot of religious troubles between the Protestants against the Catholics. 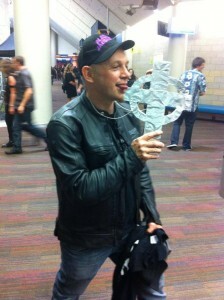 Me at the 2013 Black Sabbath concert. Auckland. New Zealand. Previous PostEvolutionism vs. Rube GoldbergNext PostLady Gaga – Born This Way… Happy Birthday Richard.